Color: Solid black with a slight brown tinge. Very high polish. Jet is a gemstone with an organic origin, formed by the high-pressure decomposition of wood. It is lightweight, and fairly soft (2.5 to 4 on Moh's scale). These beads have a gorgeous high polish. 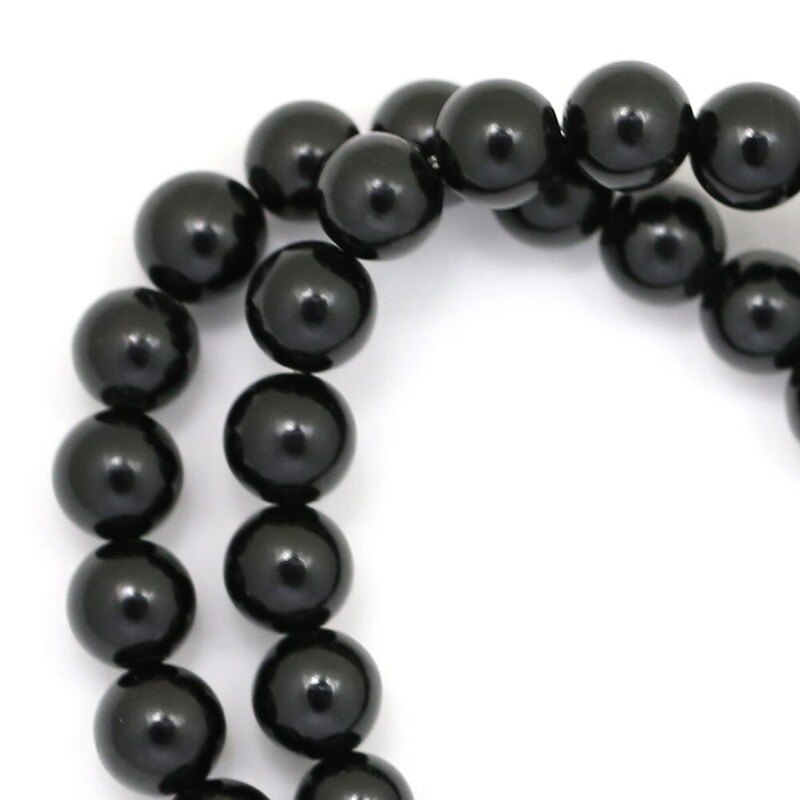 Some of the beads on each strand have a flat side. They are good quality and came fast.